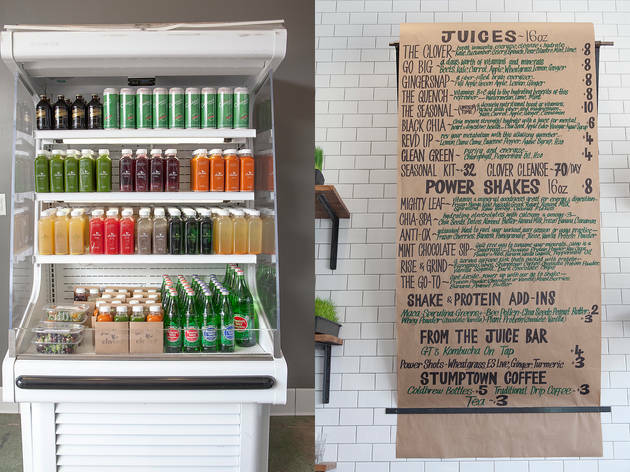 To juice or not to juice, that's not even a question in this town. 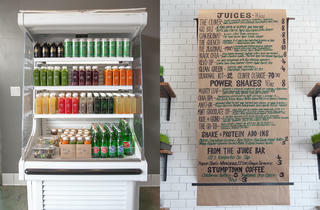 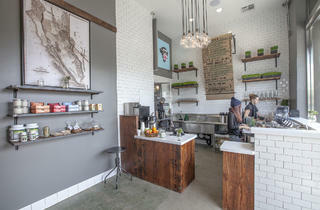 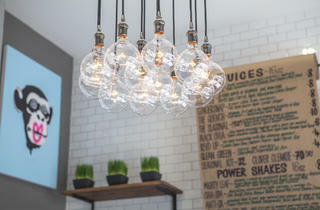 And in the midst of the city-wide juice frenzy, the latest to open up shop is this La Brea storefront. 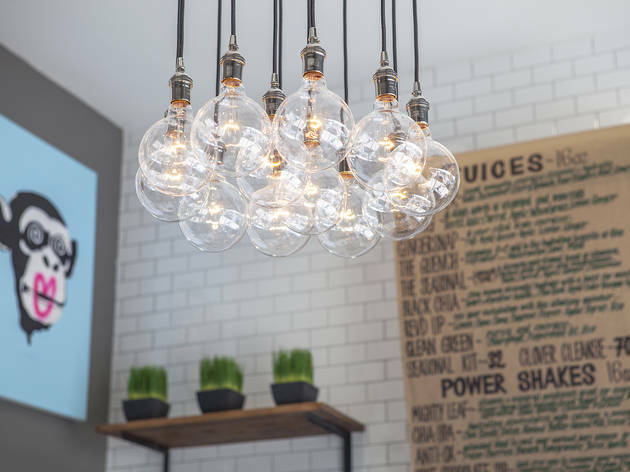 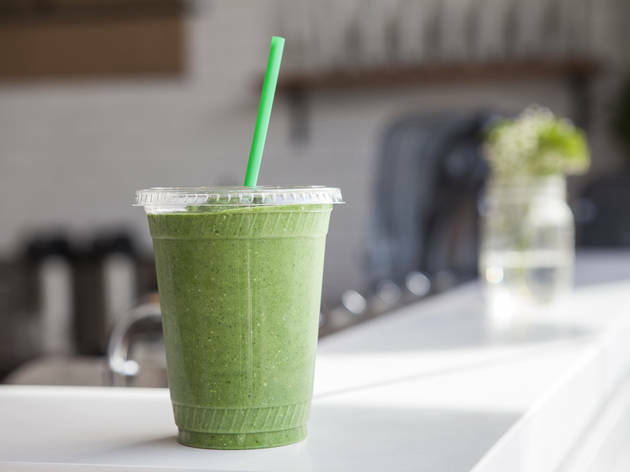 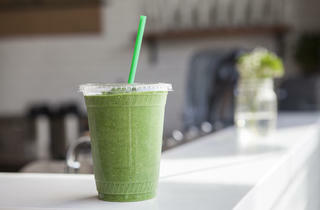 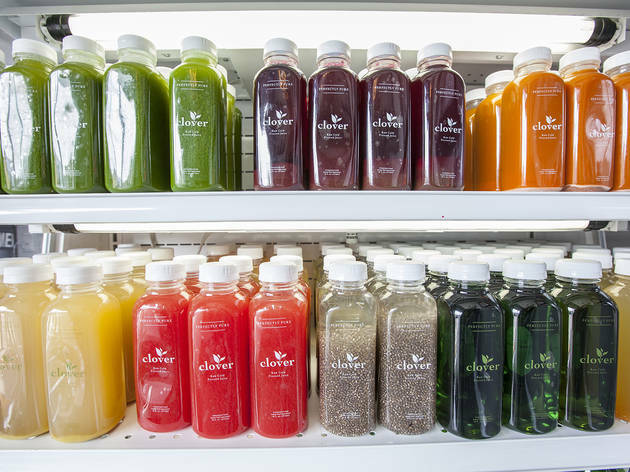 Pick up bottled, cold-pressed juices—try the eponymous green with pear, lime, cilantro, mint and kale or a seasonal concoction like the cold-weather comfort made with yam, carrot, cinnamon, ginger made from organic, local ingredients—or detox with an eight-juice-a-day cleanse from 1 day ($70) to five ($320). 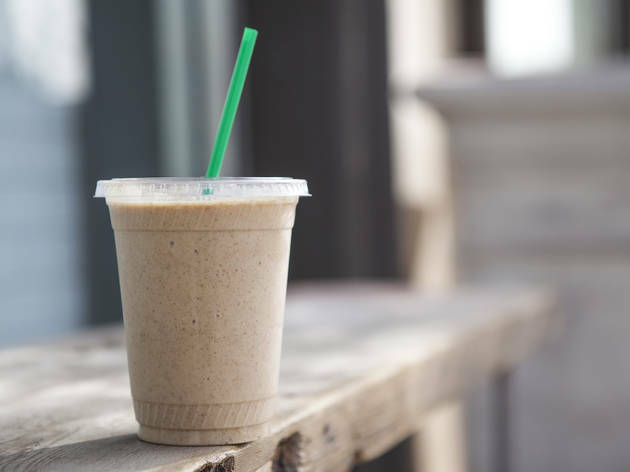 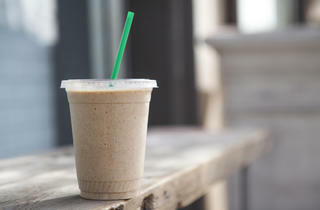 There's also Kombucha on tap—hello, Portlandia—and power shakes—we love the eye-opening Rise & Grind ($8.50) with espresso cubes, Stumptown coffee and chocolate protein powder and dark chocolate chips and chia, banana, almond butter mix called Chia-Spa ($8.50), perfect for a post-yoga drop-in from the next-door Moksha Yoga. 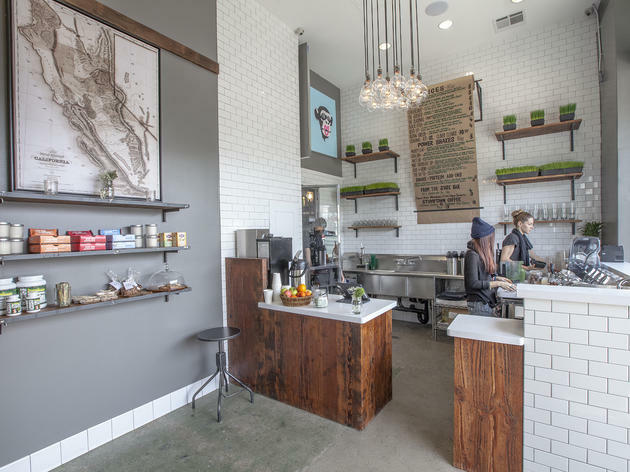 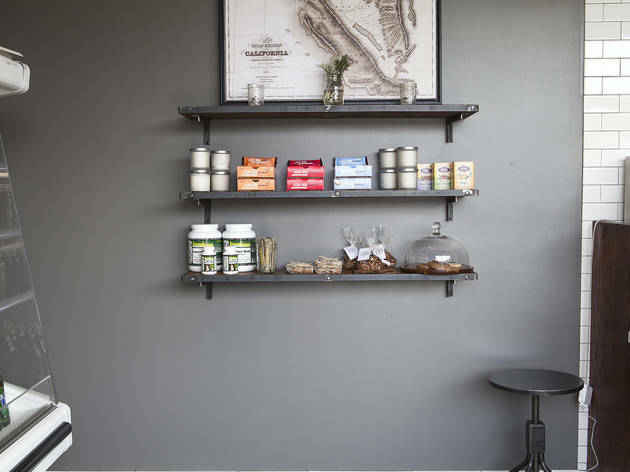 For those who prefer to chew, there are vegan selections of sandwiches and salads from Silver Lake's Flore and locally baked, gluten-free sweets. 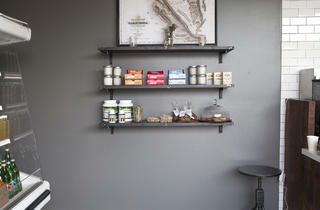 Peruse other locavore goodies like handmade aromatherapy candles and paintings for sale from Lab Art.